Whether you are coming up with your own ideas or working together with a good contractor, a bespoke conservatory will reflect exactly what you want from a new living area. P / T / L shaped conservatory designs are good examples of personalising or combining a few designs into one new look, many P-shaped conservatories use a combination of Lean-to & Victorian styling to create their appearance. However, there are really no limits on what you can come up with in terms of design & style. A lot of bespoke conservatories are on the larger side with many features that require special construction and even though conservatories are considered “permitted developments” and can often be built without the need for any planning permission, there are limits and so you should ensure that planning permission and building regulation requirements for your specific project are investigated thoroughly before starting any type of construction work on a larger room of this type. Bespoke conservatories with large span roofs can be used to house an outdoor swimming pool, Jacuzzi, home gymnasium or studio for example and there are also options for domes or enclosures that have sliding roof sections which would really set you apart from the crowd. Consultation with expert contractors will be required for this type of design as structural integrity for the roof is exceedingly important & complex. You should also learn the basics about planning permission and other factors which can impact upon the construction of your new conservatory - under most circumstances your room will fall into the "permitted development" category, but it is important to know the key elements and ensure you comply with local & national requirements before commencing work. 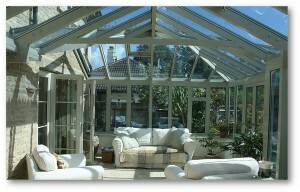 If you want to know more about the cost of a bespoke conservatory, visit this page about bespoke conservatory prices. Unique Conservatory Styles For Your Home.